The cabinet has given permission for amendments in pension laws and other such norms in this context, Parliamentary Affairs Minister Rajendra Rathore told media after the cabinet meeting. 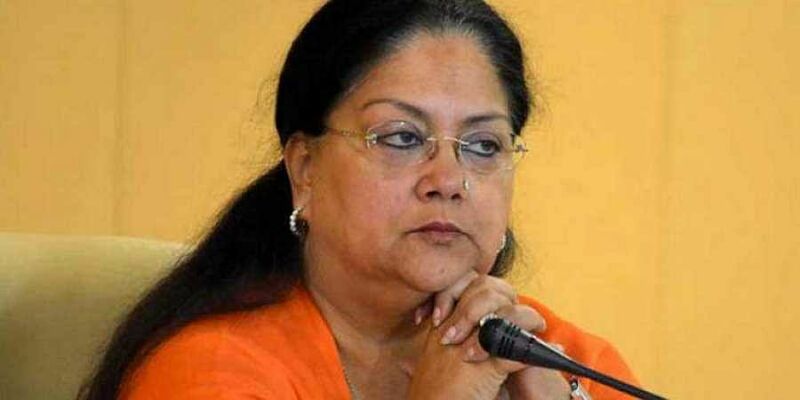 JAIPUR: The Rajasthan cabinet, chaired by Chief Minister Vasundhara Raje, on Wednesday, relaxed the two-child policy for state government employees, deleting the clause entailing compulsory retirement on birth of the third child. He also said that 13 proposals for investments worth Rs 6,000 crore in various parts of the state were approved, adding these projects will generate thousands of jobs in the state. These include in sectors such as cement, mining, textiles, agro processing, plastic manufacturing, BPO, distillery and beverages, auto parts etc, he added. The biggest is a yarn spinning project by Shree Vallabh Pitti Group at an investment of Rs 2,000 crore at Eklera in Jhalawar, a Rs 800 crore cement plant by Wonder Cement at Nimbahera in Chittorgarh and cement manufacturing units by Bangur Cement, with investment of Rs 1,013 crore, at Jaitaran in Pali and Udasar in Sri Ganganagar districts. "All these units would be given different customised packages of rebate and subsidies as per the state... additional benefits would also be extended to the investors putting in funds in the backward regions," Rathore said. The Cabinet also approved the State Cooperative Bank's proposal to take loan worth Rs 5,000 crore from the National Cooperative Development Corporation for the state's crop loan waiver scheme, under which Rs 5,077 crore have been waived to benefit 16.56 lakh farmers. Rathore said that other decisions taken in the meeting include allotment of lands to half a dozen community-based organisations for various housing schemes, Rajasthan Housing Board residences to families of martyrs in armed forces, renaming the Government College in Jodhpur after Dr. Bhimrao Ambedkar and proposals for amendment in service rules and conditions for different state government entities. Land allotments for residential and office purpose for the State Information Bureau and Intelligence Bureau at Sawai Madhopur and Bharatpur respectively were also approved. If any one have three children at present than he can get govt job in rajasthan?